Holiday hangover, we know the feeling too well. As the plane lands on the tarmac, the realization hits us. Our holiday is officially over. The eerie refrain of En Vogue’s song, “Back to life, back to reality….,” consistently plays in my head. I had the best time in Japan last week. I turned 40. My best friend,Rissa, turned 40 too early this year. We decided to celebrate our milestone birthdays together in Japan, in Kyoto and Osaka to be precise. While we had been friends since we were 8 years old, our lives are worlds apart. She’s married and a mother of two boys. She has been working in the family business for most of her working life. I’m single and have been a freelancer most of my working life. She’s stable and logical. I’m a free spirit and artsy. But in many ways, we are similar. We are both the youngest. We are both very independent women. We both love and care for our parents. And, we share a love for good food and travel. We have both traveled extensively and wanted a place we would discover together. 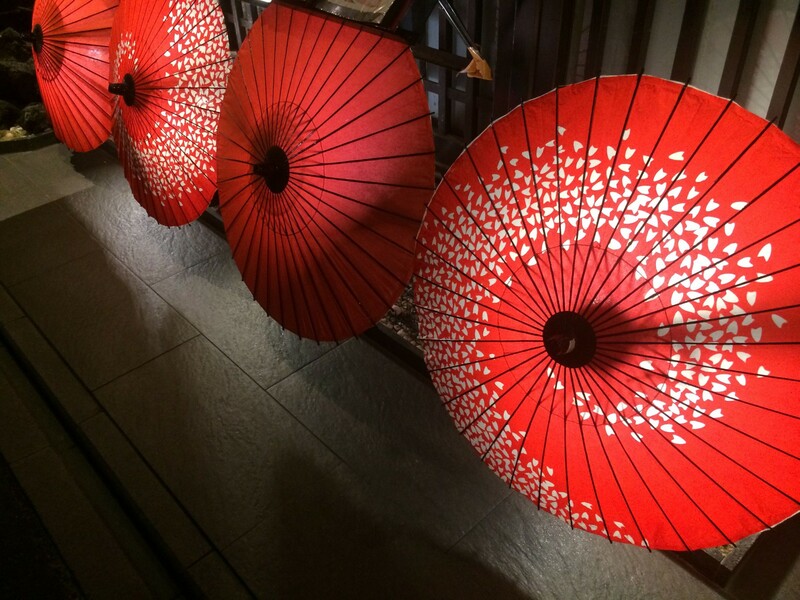 Rissa has been to Kyoto before. She did not get to explore it though. It was difficult to move around with a stroller. So together, we indulged in our Japanese favorites from Tempura to Ramen to Unagi (eel) to Sushi to Match desserts. We checked out a few temples, even enjoyed a trek to the highest point of one temple. We even tried an onsen for the very first time, forcing us to bare our naked bodies to each other. I tagged the trip as #BestFriendsFortyfied or #BFF40. While we’ve been through a lot in our 32-year friendship, this trip surely created new precious memories we both savor. Everything about this trip was memorable and even strengthened our friendship. But as they say, “all good things must come to an end.” After 5 days and four nights, our trip ended. 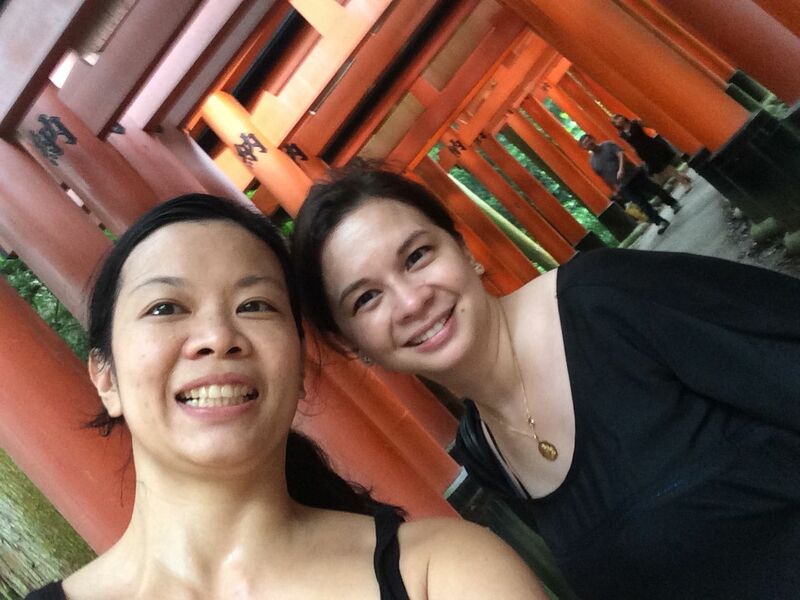 Our favorite memory was at Fushimi Inari Shrine, where we trekked to the peak. We both wanted to have a souvenir of this special trip. Rissa briefly considered buying a gorgeous ceramic mug, so she would remember our trip every morning when she had her coffee. But she feared it would easily break. Rissa teased me the sunburn I got from our temple runs would be a fitting souvenir. But I wanted something lasting. On our last day in Kyoto, we both purchased Geisha Eco bags to remind us of this trip. The morning after we parted in the airport, Rissa sent me a message, “I’m having Bff withdrawals.” I was having withdrawals, too. Today, although I’m back in Manila, my mind is still floating with thoughts of Japan. So how does one deal with holiday withdrawals? One, you can celebrate your holidays with food to remind you of your holiday. 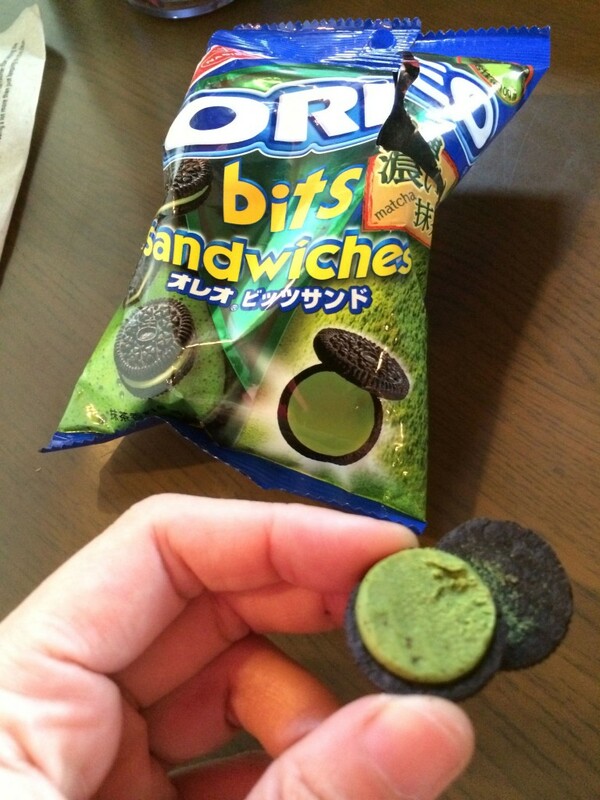 While it is comforting to indulge in Matcha (Green tea treats), rice crackers, and other iconic Japanese food, it’s probably not the best idea. It is a short-term solution, with a high caloric price. Holiday hangover is not a bad thing. It means you’ve had a good holiday and an enriching travel experience. But if the holiday hangover lingers on and on, perhaps, it’s time to look at the life you live. While Rissa and I are plotting a next trip, we also have identified big goals to better our lives. Heading down from the peak of Fushimi Inari Shrine, sweaty and tired, with many steps ahead of us, we talked about our dreams and goals for the next five years. In the plane, we talked about finally conquering a simple 5K together and maybe progressing to a 10K. 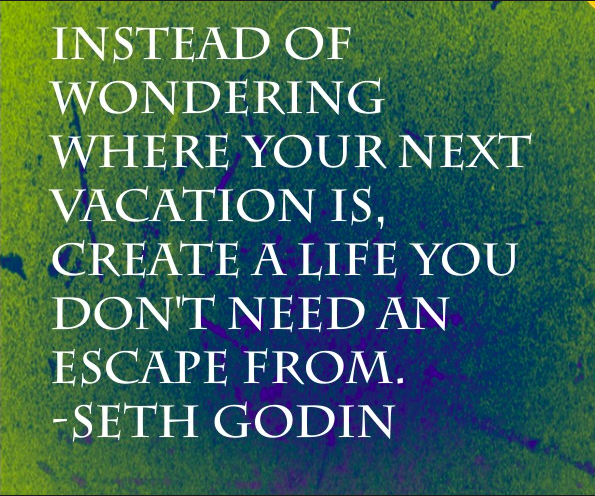 Seth Godin captures it nicely in a quote, “Instead of wondering where your next vacation is, create a life you don’t need an escape from.” This article from Thought Catalogue provides practical ways to go about it. 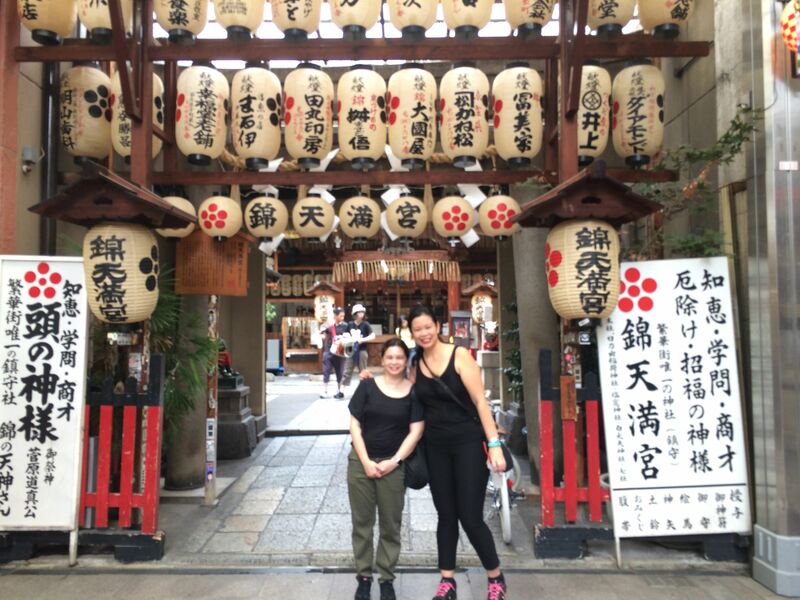 I gleaned many realizations from my bff40 trip in Japan: First, having a best friend is one of life’s most precious gifts. Second, growing up and growing old with a friend is even more special. With all the changes in this world, it is comforting to have someone who knows you, your stories, your strengths, and weaknesses from way back. It is even more comforting to know, this friend has your back. Third, friendship is powerful. It is great to be committed to transform your life. But having your best friend as your ally in transformation almost ensures your success in improving your reality. So the next few days, I’ll probably be suffering from more bff withdrawals. But I’m also taking the cue to take create a better life I don’t need a vacation from. Connect with me on Facebook, Twitter, & Instagram!